Wood comes from trees, but then where does it go? This worksheet teaches kids more about the things made of wood- one of Earth's natural resources -- wood. 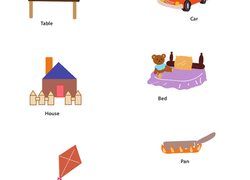 Sounding out and tracing letters of familiar words like pig and bat increase your young kid's confidence in writing and help her with mastering the alphabet. With this science experiment, kids can get hands-on planting beans and watching them grow. All you need are beans and some household items to grow a bean plant! This set of printable question cards is perfect for young students that love to ask questions. Cut these question cards out, and keep them on hand. Calling all zookeepers! These hungry animals need to be fed, and it's up to your child to match up the animal with the food it likes. Match up baby animals with their mommies and daddies! This memory game challenges kids to pair up babies with their grown-ups from a set of upside-down cards. Get your young one excited about natural sciences by discussing how living things need oxygen, food, and water to grow and reproduce. Then have fun drawing! Many animals live in the woods, but some can live in the city right alongside people! Which of these animals are urban animals? 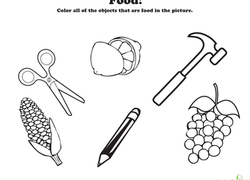 Use this worksheet to teach your child about one of Earth's natural resources -- paper. Chomp on some life science learning with this toothy worksheet! What do you think these animals eat? Take a look at their teeth for clues. Does your preschooler fancy herself a "bird brain"? 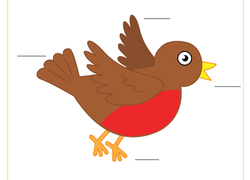 Test her basic bird knowledge with this cute, cut-and-paste chart. All living things come in different shapes and sizes. 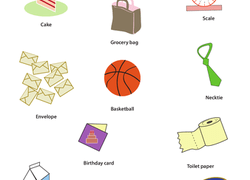 Help your little one determine which of these items are BIG and which are small! This beginners worksheet will help your child get all her ducks in a row when it comes to understanding animals that hatch from eggs. 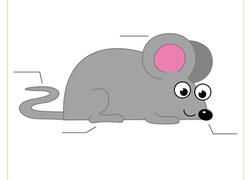 Can your preschooler name the parts of a mouse? Give her a dose of animal science with this fun cut-and-paste printable. This worksheet will help your child learn to recognise colors, by tasking him with coloring all the items on the page that are green. 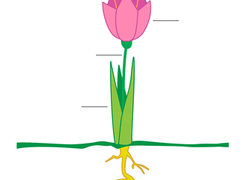 What do living things need to survive? Have your little helper assist Penny in giving her puppy and plant water and energy to help them grow!